Let us help you make sure your website and business is compliant. Anyone who collects and processes personal data (defined by the GDPR as a Data Controller) will be required to comply with the new regulations to a certain degree. As well as organisations who run websites or apps, this also includes any organisations who use internal databases, CRMs or even just plain old email. The full GPDR is a massive document but we have outlined some of the most pertinent points in as straight forward a way as we can below. We know it’s tough going so we’ve scattered some pop-culture references throughout the post, see if you can spot them all. Answers at the bottom folks! The GDPR requires the data controller to have suitable processes defined and in place in case of a data breach. Depending on the severity of the breach, the data controller has a legal obligation to report a data breach (of identifiable or un-pseudonimised data) within 72 hours. Further information on the reporting of a data breach can be found on the Information Commissioner’s Office website. All public authorities and any organisation that processes personal data (the data controller) on a significant scale must appoint a Data Protection Officer (DPO) responsible for monitoring internal compliance of the GDPR regulations within the organisation. Even if you don’t feel that your organisation falls in to this category we think that it is a good idea to appoint a DPO for your organisation. This person can keep data protection high on the organisation’s agenda and ensure that GPDR compliance is achieved and then maintained. Under the GPDR a data subject has the right to erasure of their data. This means that if an individual asks you to remove their data from your systems you have to comply. All backups, all references to, etc. etc. Lock, stock, the whole lot. Another significant part of the GDPR is the idea that digital systems include privacy by design (also referred to as privacy by default). Put simply, a users privacy should be fully considered at the very core of any digital system. By default, privacy settings should be set to their highest level with a user given options to downgrade this if they choose to. As many social media users know, social networks often work in the opposite way to this! Data controllers should also be ensuring that data is only being processed when absolutely necessary. The GDPR replaces the data protection directive from 1995. It was adopted on 27th April 2016 and comes in to force on 25th May 2018. But the UK is leaving the EU so we don’t need to worry right? Wrong! Firstly, when the GDPR comes in to effect the UK will still be a part of the EU albeit one that is beginning the withdrawal process. Secondly, the UK will adopt all EU legislation immediately after Brexit. During this time, currently being called The Great Repeal Bill, the EU laws will be rewritten inline with Britain’s new position outside of the EU. Thirdly (because you needed another reason right? ), unless you are planning on denying access to your services, products etc. to any EU citizens or residents then you will need to comply with the GDPR or face the consequences. So, what are the consequences of not complying with GDPR? 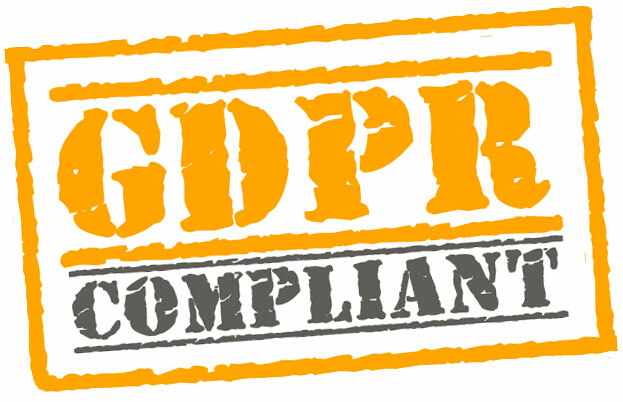 The maximum sanction for non-compliance with the GDPR is 20,000,000 Euros or up to 4% of your annual worldwide turnover (based on figures from the the preceding financial year), whichever is the greater. Yup, you read that right. The GDPR would call these systems third party data processors. They are processing the data controller’s data on their behalf. Most (but certainly not all) of these systems are run by US-based companies who should be going through the process of becoming GDPR-compliant at this very moment if they have not already done so. US companies should also be Privacy Shield compliant. The US Privacy Shield framework has been co-developed by the US Department of Commerce and the European Commission to provide mechanisms to protect the flow of personal data between the EU and the US. So, how can you make your website GDPR compliant? You can get us to do it for £150 one-off payment. Or you can do it by following the guidelines below. A personal data audit will help you to identify all of your data processors. List them all with either a 1 or a 3 to help you track which are first and which are third party data processors. For each of the third party data processors, check their respective privacy policies and make sure that they are GDPR compliant. US-based data processors should be Privacy Shield compliant. If the third party is not yet compliant with GDPR or Privacy Shield contact them and find out if and when they plan on becoming compliant. In the unlikely situation where a third party data processor is not compliant and has no plans to become compliant by the 25th May 2018 deadline, you should seek to replace them with a similar but compliant provider. In this situation you should also ask the current provider for a copy of the data that they hold for you and then insist that they securely delete your data from all of their digital systems including backups. Remember, data is a liability to you so, unless you need to keep the data, we recommend deleting it. During your personal data audit any weaker parts of your website should come to light. An example could be the non-compliant third party data processor as described above. Other examples could be insecure (unencrypted) email accounts or website traffic. Another example might be contact form submissions that have been saved to your website’s database. These have likely long since been acted on or replied to so they no longer need to be kept. Whatever the weak links are you should aim to strengthen or remove them. A DPO is an individual or individuals designated by the Data Controller to be responsible for monitoring internal compliance of the GDPR within the organisation. This could be a specifically trained employee within the data controller’s organisation or a position that is out-sourced. Unless you are carrying out large scale processing of personal data a suitably informed in-house member of staff should be perfectly sufficient for this role. If you are storing personally identifiable data in your website then you really need to be working towards pseudonymising this data. This is quite a technical undertaking and, as we said earlier, a lot of the CMS developers seem to be arriving late to the party. The GDPR might seem intimidating and over the top with a maximum fine heavy enough to give business owners the world over a sleepless night or two but it’s important to remember where it comes from. At it’s core, the GDPR is about protecting people like you and I from the myriad of ne’er do wells that stalk the internet. The internet is still a highly unregulated space that needs far greater levels of international legislation; the GDPR is a significant contributor to this. So remember, the GDPR will help the internet to take care of yourself and each other.